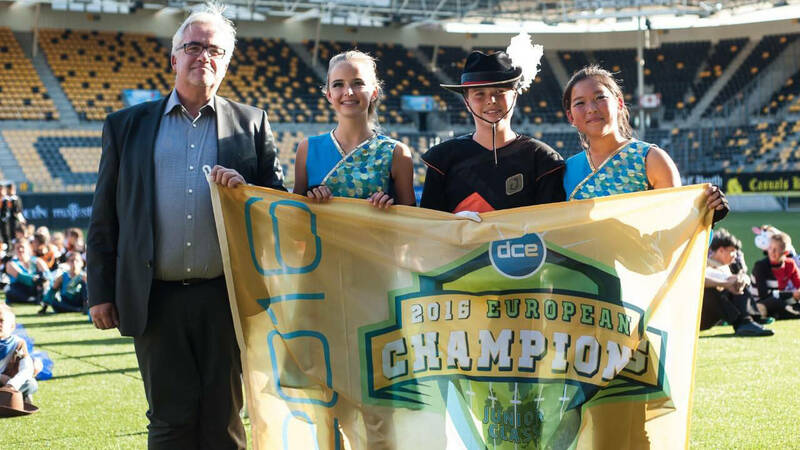 British ensemble, the Company, added another Drum Corps Europe (DCE) Championship title to its collection after topping a field of 14 other units on Saturday in Kerkrade, the Netherlands. Taking home the Drum Corps United Kingdom Championship title the weekend before, the corps from Derbyshire, England, held a lead over the competition in both the Prelims and Finals competitions at Parkstad Limburg Stadium during the weekend. Consistently at the top of the leader board since its first trip to the DCE Championship in 2010, the Company has never placed lower than second. The group’s first-place score of 89.95 on Saturday brings home the organization’s fourth DCE Championship title in seven years. With the 2016 Drum Corps Netherlands Championship title under its belt, Dutch corps Jubal finished just under a point behind the Company with a score of 88.95. The silver-medal performance marks the corps’ best since its last DCE win in 2013. On the score sheets, Jubal saw its highest marks in the visual caption, taking first place overall. After winning the DCE gold medal last year, the United Kingdom’s Kidsgrove Scouts fell to third this season with a score of 87.00. The corps is the winner of DCE’s High Field Music (Brass) caption award. Juliana, from the Netherlands, finished in fourth with a score of 82.50, followed by the Starriders (5th, 80.60), which was the top-ranked German corps entering the competition on Saturday. Italian drum corps Unity (6th, 78.85), representing the towns of Mosson and Besana, earned its highest finish and score in the history of the organization. 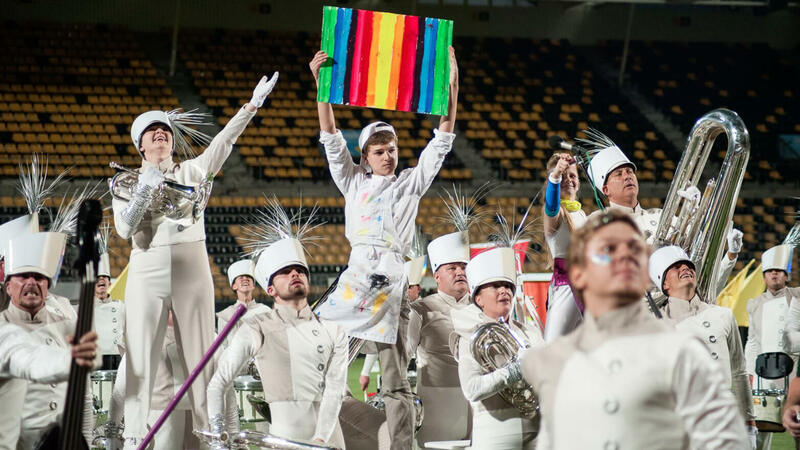 Wölper Löwen (Germany), Spirit of 52 (Germany), Cadence (UK) and Millennium (Italy), rounded out the top-10 finalist corps during Saturday’s competition. Members of Jong Jubal receive the 2016 Drum Corps Europe Championship flag. Jong Jubal, a program of Dutch corps Jubal, took home another gold medal in Drum Corps Europe’s Junior Class division. The 2016 win marks the group’s sixth DCE title since 2008. Taking second and third were two other Dutch corps, Jong Beatrix and Johan Friso respectively. Jong-Holland Junioren (Netherlands), Diamond Cadets (Germany) and Kadoudal (France) rounded out the Junior Class competition.